Metallica 2019 VIP tour poster series! 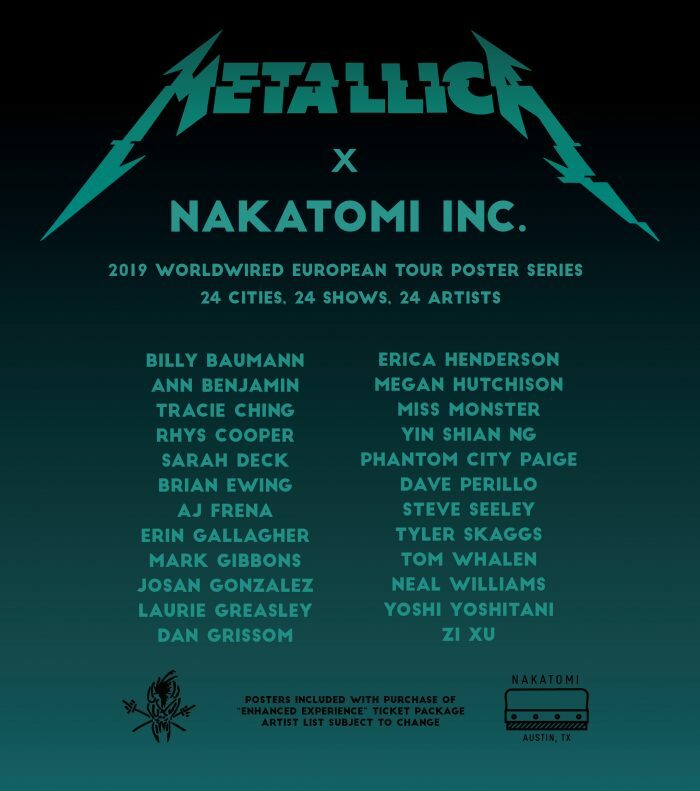 Metallica is crossing the ocean for a Summer tour of Europe, and they’re bringing Nakatomi along for the ride! Check out the amazing lineup of artistic talent we’ve booked for this tour above! The art is all in, and we’ll be revealing each poster the day of the show on our instagram account HERE- @nakatomi_inc. Follow along! Nakatomi will be selling Artist Copies of the prints for EVERY date, shortly following the show- sign up for our Mailing list HERE. NOTE– if you’re attending one of the Summer shows, pick up an ‘Enhanced Experience’ ticket to get one of our prints! ← FAILURE 2019 tour- 6 new prints!